I trained in Musical Theatre at Mountview. 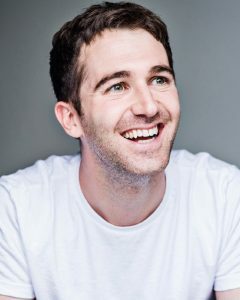 In my 3rd year I got a job in Blood Brothers Tour and then I spent around 6 years working on different shows, mainly in London, things like Jersey Boys, Billy Elliot, Fiddler on the Roof…I then took a year and a half out of musicals to do fringe acting jobs and short films to build a showreel etc. I then got really lucky and got a play at The National…well I was understudying and had 4 lines but it was the biggest 4 lines (laughs)…in One Man Two Guvnors and I loved it! I then did a couple more plays and decided to try the move to film & TV and ramped up the showreel stuff. I got some good opportunities and made the transition and that’s what I do now, I regularly do bits of TV and commercials. 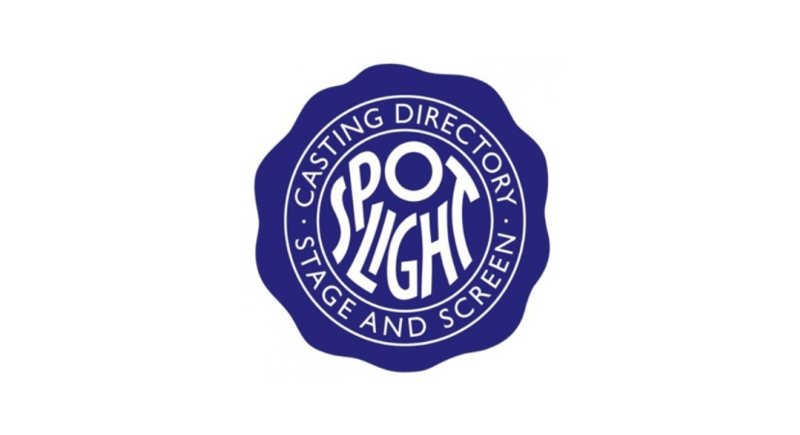 Spotlight essentially is the central casting hub of the UK performance industry. It has 3 types of memberships: Agents, Casting Directors and Performers. Each group accesses the database in a different way but through that process, all areas are cast through that link. Professional credits, professional training if you don’t have credits, a headshot and a unique name. How essential is it for a performer to have a Spotlight account? It’s 100% essential. You can access the world without one but you’re running up a mountain with bare feet and everything’s coming towards you….it’s just such a struggle. If you’ve got one you’re armed and have access. It’s all about access really and if you were to join an agency and say “I’m not on Spotlight”, the first thing they’ll say is “why?”. If you’re serious about your career you have to be on it. How does a performer use Spotlight? What extra services can Spotlight provide as well as the profile page? There’s a thing called Spotlight Mondays which is free for all members. It’s like a drop-in clinic where any performer with a problem or who wants advice can book a 20 minute to come in and talk to people in the office about their CV, their Agent….it’s all confidential….it’s like a form of therapy (laughs). It’s a really good service for somebody who might not know what direction their career is going in and get some guidance about making the most of their CV, how they contact Casting Directors, how they can represent themselves on social media…you know there’s all sorts of things they can get advice on. There are a lot of things for graduates. There’s a graduate programme, talks, seminars, which is free for graduate performers. They can come in and meet agents and casting directors who are doing talks, which is gold dust information. They are really big on graduates. There’s a lot of good information even on the Spotlight podcasts., which again are free. There are lots of industry related discounts….it’s all on the website and they have a big social media presence…twitter, instagram. They offered a free yoga sessions for members recently in their new studios. Things that are on offer are constantly developing. How does a Casting Director use Spotlight? Casting Directors post breakdowns on Spotlight for the roles that they’re looking for in the productions they’re casting. It’s usually quite specific. They post the brief out there and then the agent submits to the casting director. The casting director receives it in the form of a thumbnail headshot which is why your headshot is really important. Then the casting director filters by role through the clients, and then they form a shortlist on the database of who they want to meet and then they contact the agents and organise auditions. They can also, beyond the brief, search the database, and they are only ones who can do this. If they have a very specific thing they are looking for then they could set that filter and narrow down the 70,000 database. Do you feel that showreels are as important as headshots on a profile? It depends what you want to do… If you want to be working on screen then yes. But the headshot is the gateway. If you don’t have one then realistically you’re not going to get in the door. Top 5 “no, no’s'” on a profile? A headshot that’s out of date, credits being out of date. It’s your own personal PR so keep your credits up-to-date. The next “no, no”….lying?! (laughs). I’ve been caught out a couple of times. I once put an RSC workshop that I’d paid to do on there as a workshop credit and then went to audition for Trevor Nunn for a musical and Trevor Nunn was like “Could you tell me more about this credit please….” (laughs again). Don’t lie about your skills either…only put on there what you can do tomorrow. What else? ….You know what, this may be contentious, but if you were singing in the background of Children and Need at your local community centre, that’s not a TV credit. No-one’s going to take that seriously. If you do a 5 min slot on late night TV with Jersey Boys, you didn’t play Frankie Vallie on TV! You didn’t (laughing). That’s common…there’s lots of people that try and justify credits as bigger than what they are. And then the other thing is Am-Drams and things….don’t put them on there, they’re not professional credits. Final “no-no”….bodyshots in the gallery that are excessively naked. Keep a t-shirt on! That’s a great “no, no” (laughing). I say this at the end of every Spotlight talk. There’s a very fine line between confidence and arrogance. Confidence is earner and arrogance is assumed. The only way to have a long and successful and consistent career is by earning it. I’ve seen it many times in the audition room, someone who’s exceptional but arrogant and the team sit and they go “yeah, he was really good but you know, he might not be that nice a person” and then they pick up the phone and call someone who’s worked with him….and then will end up bringing back instead “nice guy” who maybe can’t sing quite as high but who’s great. The way you are as a person really does reflect in your career, long term.